The French, I Tell Ya…. ~ Gustave Flaubert, famous French writer to his Louise Collete. Monsiuer Flaubert was nothing if not arduously ambitious. 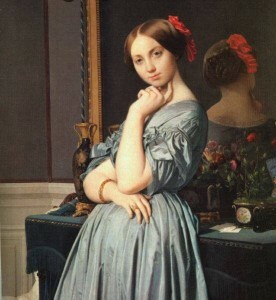 A woman of that era…”Madame d’Haussonville.” Painted by Jean-Auguste-Dominique Ingres, French Romantic painter (1780 – 1867).